Art is the founder of Widmann Financial Services. 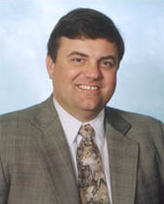 He has more than 30 years of experience in personal and institutional investment management. He earned his bachelor of science degree in finance from the University of Maryland, College Park, and has done postgraduate studies in estate planning at George Washington University. Art completed his MS in financial services from the American College and earned his Accredited Investment Fiduciary® designation from the Center for Fiduciary Studies. He earned his CERTIFIED FINANCIAL PLANNER™ certification from the College for Financial Planning in Denver, Colorado. Art is involved in several nonprofit organizations, including the Boy Scouts of America and its National Honor Society, the Order of the Arrow. As a past president of the Greater Bowie Chamber of Commerce, Art continues to advocate for local business and leadership training within the community. In addition, he teaches estate and retirement planning courses at a local college. Art Widmann is proud to have been recognized as a Chairman’s Level advisor since 2015—a distinction based on annual production attained by just over 3 percent of advisors affiliated with Commonwealth Financial Network®. As a principal with Widmann Financial Services and director of investment services, Laura oversees our team of investment professionals. She works directly with portfolio management and is a key player in building successful client relationships. Her degree in accounting, aptitude for numbers, and strong analytical skills provide her with a solid foundation in the field of financial services. She has earned the Accredited Asset Management SpecialistSM certification from the College for Financial Planning, is a Registered Representative of Commonwealth Financial Network®, and holds FINRA Series 7 and 24 securities registrations. 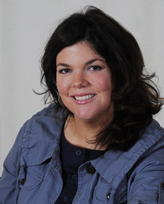 Laura joined Widmann Financial Services in 1996 and became an equity partner in 2009. Laura does extensive educational volunteer work within the Baltimore-Annapolis corridor. Robert earned his BS in finance from Towson State University. He holds FINRA Series 7 and 66 securities registrations through Commonwealth Financial Network® and is also licensed to write life insurance in Maryland. For the past 15 years, he has worked in the business and financial arena. Robert serves a diverse group of clients, including individual investors, small businesses, and nonprofit organizations. 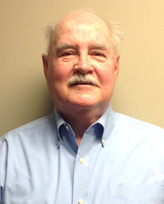 Robert is past chairman of the board and past president for the Anne Arundel Senior Services Provider Group. He has been a featured speaker for the Anne Arundel County Department of Aging, Charles County, as well as the local chapters of AARP, NARFE, and other fraternal organizations. Robert lives in Arnold, Maryland, with his wife and two children. David earned his BS in finance with a concentration in securities analysis and portfolio management from the University of Maryland. He currently holds the Certified in Long-Term Care designation from the Corporation of Long-Term Care Certification, an independent and nationally recognized organization for long-term care training. 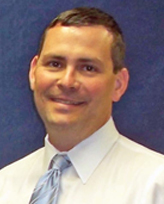 He joined Widmann Financial Services in 2007 after two years in the life insurance field and 13 years in banking. He specializes in retirement and long-term care planning and conducts long-term care informational seminars throughout the year. David holds FINRA Series 6, 7, 63, and 65 securities registrations through Commonwealth Financial Network®. 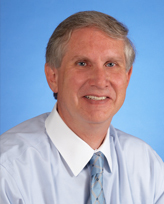 Additionally, he is licensed to sell life and long-term care insurance in Maryland and Virginia. In 2011, he earned the designation of Chartered Advisor for Senior Living® by completing a concentration of college-level courses in retirement and long-term care planning from the American College. David volunteers his time by serving on the board of directors of the Greater Bowie Chamber of Commerce and is currently chairman of the board for the National Capital Radio & Television Museum in Bowie, Maryland. He also serves as an adult leader for the Boy Scouts of America coed Venture Crew. David lives in Pasadena with his wife and two children. Mike has more than 32 years of auditing experience with the Office of the Inspector General, the U.S. Department of Agriculture, and the U.S. Army Audit Agency. He served in every capacity, from auditor to acting assistant inspector general for audit. In addition to financial planning, Mike specializes in college savings plans. Mike earned his BS in accounting from LaSalle College in Philadelphia, Pennsylvania. He holds the designations of Certified Government Financial Manager®, Certified Internal Auditor®, and Certified Fraud Examiner, and is a member of the National Financial Aid Practitioners Alliance. During his extensive career, Mike received numerous awards. He is a past member of the Education Committee of the Bowie Chamber of Commerce and past president of the Montgomery Prince George’s Chapter of AGA. Mike lives in Bowie, Maryland, with his wife and enjoys playing golf in his spare time. David earned his BS in computer science from the University of Maryland with a concentration in math, physics, chemistry, and biology. After graduation, he joined the National Security Agency. After 9 years, and looking for a change, he attended post-graduate school at the American College where he completed advanced studies in investment and insurance management, estate planning, taxation, and personal financial planning, culminating with the designations of Chartered Life Underwriter® (CLU®) and Chartered Financial Consultant® (ChFC®). In 1998, David earned his CERTIFIED FINANCIAL PLANNER™ certification from the College of Financial Planning in Denver, Colorado. In 2011, he earned his Accredited Investment Fiduciary® (AIF®) designation. He has been working in the financial services industry for the past 26 years. David was a swimmer, springboard diver, and water polo player in college. In his free time, he coaches the Montgomery County Public High School Divers as well as coaching swimming for Rockville Municipal Swim Center (RMSC). He also coaches his daughter’s softball team. He currently resides in Silver Spring with his wife and four children. Rick is a 40 year veteran of the financial services industry. He earned a BS in comparative politics and public administration from Frostburg State University, graduating with honors. He continued his education at the New York Institute of Finance. Rick entered the industry as a junior executive trainee at Merrill Lynch and was their youngest candidate at the time of hire. He has been in the financial arena his entire career, working with individual investors, private businesses and nonprofit organizations. Rick has written extensively about business and investing. His column “Inside the Boardroom” appeared for many years in the Business Gazette. Rick co-authored with Putnam’s Robert Goodman the script for “No-Brainers: Personal Finance,” one of the first video guides to investing. He received a Maryland Governor’s Citation for his writing. He has been a featured speaker for the U.S. Public Health Officers Service, The Retired Officers Association, Frostburg State University Alumni Association, and the Brain Injury Association of MD. Lisa earned a BS in business management from the University of Maryland, College Park. She also holds an AA in business administration. 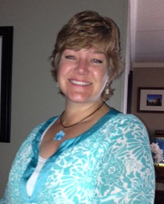 Lisa started at Widmann Financial in 2009 as an administrative assistant. She holds the FINRA Series 7 securities registration. In 2013, Lisa stepped into her new position as an investment associate. In this role, she interacts closely with clients and provides account management assistance. Supporting the registered representatives in the office, some of Lisa's responsibilities include conducting financial research, providing trade support for client accounts, gathering and organizing data for client meetings, and helping to ensure compliance with financial industry regulations. Lisa also serves our clients as a notary public. Lisa and her husband have lived in Bowie for more than 25 years. They have two sons and two daughters. Lisa volunteers her time with the homebound of her church. In her free time, she enjoys traveling, reading, and attending theater performances. Felicia heads our administrative team. She has been with Widmann Financial Services since January 2000. She has more than 20 years of office experience, having served as a certifying officer and financial services coordinator for the U.S. Soldiers and Airmen’s Home in Washington, DC. Client service is at the forefront of every task in the office. In August 2012, Felicia attended the Advanced Topics Symposium in Boston, where she received Commonwealth's "2012 Staff Member of the Year Award." Award recipients were nominated by their advisors based on seven criteria: client service, communication and interpersonal skills, compliance, leadership, problem-solving and decision-making skills, technical knowledge and ability, and time management. Having studied voice at the University of Maryland, Felicia is our designated birthday singer! Her many activities include volunteering at the City of Bowie Ice Arena. In addition, she currently serves as vice president for her temple. She lives in Bowie with her husband, daughter, and lovable dog. 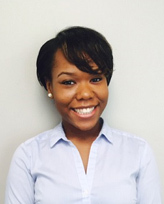 Dynesha joined Widmann Financial Services in September 2015. In January 2016, she won the "Rookie of the Year" Award. Dynesha earned her BS in psychology at Bowie State University. She also holds the FINRA Series 6 securities registration through Commonwealth Financial Network® and is currently pursuing her MS in financial management. Dynesha takes great pride in being the "sunshine" in the office. She greets clients, answers phones, schedules appointments, and assists with client prep. Andrew joined Widmann Financial Services in July 2018 as a financial paraplanner and has since transitioned to the role of financial consultant. Prior to starting with Widmann Financial, he worked as a personal solutions specialist with T. Rowe Price. He earned a BA in German and business administration from McDaniel College. He also holds the FINRA Series 6, 7, 63 and 66 securities registrations with Commonwealth Financial Network ® and is currently pursuing the educational requirements for a CFP® certification. Additionally, he holds a life and health insurance license. Andrew is elated to be able to work personally with our clients and to be part of a team that strives to help them reach their financial goals. In his spare time, he enjoys trivia nights, running, and swimming. On a day of fun, you might just catch him juggling! Michael joined Widmann Financial Services in September 2018. He holds a BM in clarinet performance from the University of Maryland and an MM in clarinet performance from the Jacob’s School of Music at Indiana University. Michael previously worked as the administrative assistant for the Jacob’s School of Music’s Historical Performance Institute. Michael will be helping the Widmann Financial Services team by answering phone calls, scheduling appointments, and providing all clients with the high-quality customer service they have come to expect. Michael enjoys playing tennis and frequently performs with professional orchestras around the country.